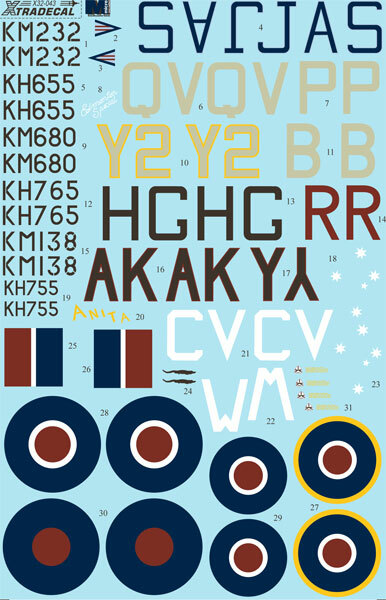 Xtradecal has been quick off the mark in designing a new decal sheet for the brand new Tamiya 1/32 scale P-51D Mustang. 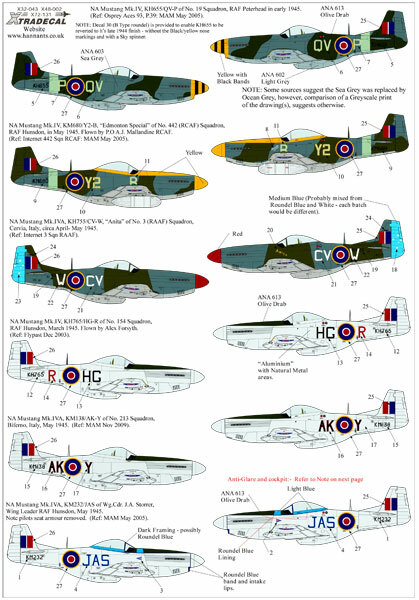 The new decal sheet, X32043, contains six interesting options for RAF, RCAF and RAAF Mustang Mk.IVs in Europe. 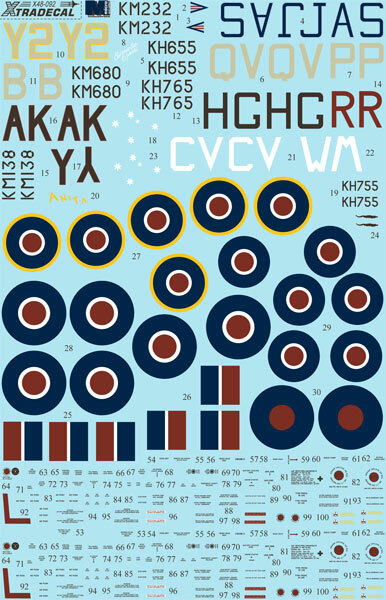 It is also available in 1/48 and 1/72 scales. KH755 CV-W 3 (RAAF) Sqn 'Anita' Italy. All three of these are finished in OD/Dk Grey/Med Grey. KM232 JAS Wg.Cdr J.A.Storrer Wing Ldr RAF Hunsdon. 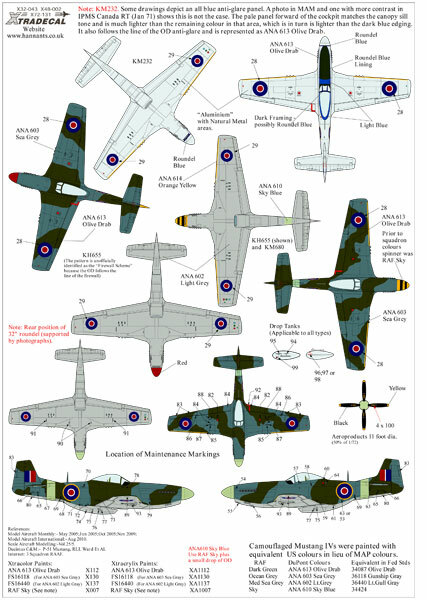 (All three of these options are in Aluminium, and all depicted in 1945). 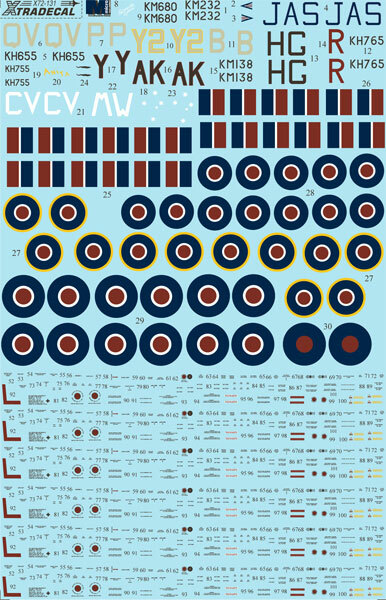 The decal sheet is expected in the next week or two, but may be ordered right now.